Every modern wastewater treatment plant has some degree of automation, ranging from elementary, such as control of aeration intensity based on oxygen levels in the tank, to sophisticated automation. A software tool, which enables you to evaluate control strategies of unlimited complexity, is essential in order to accurately model and test different solutions on a virtual platform prior to their implementation. 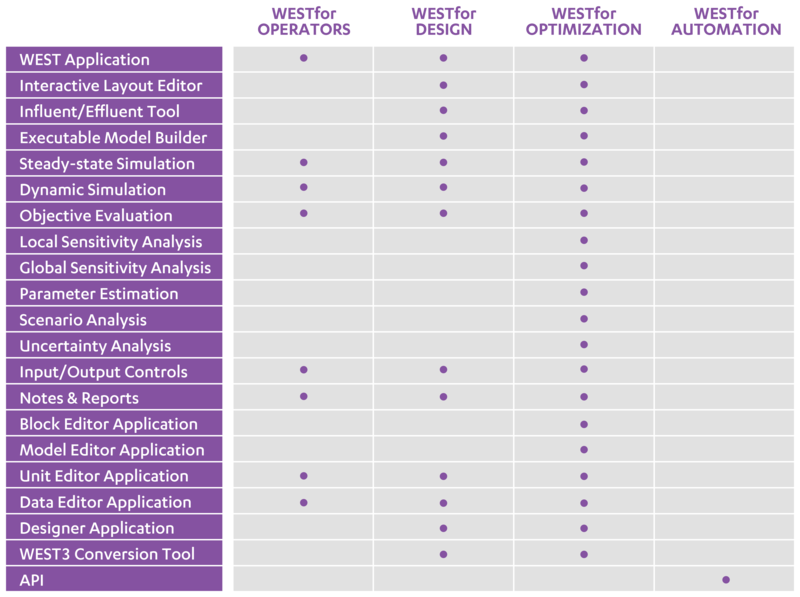 The Model Editor of the WESTforOPTIMIZATION product is the perfect tool for editing custom control models that may be plant specific or constitute the proprietary know-how of your company. The MSL Code Editor in WEST is an intuitive programming environment equipped with all features necessary for implementing new models successfully. This includes code templates as well as inline syntax check and error detection. WESTforOPTIMIZATION also allows you to perform sensitivity analyses, scenario analyses and uncertainty analyses in order to thoroughly test new models.